One of those famous, and possibly the first few alluring comic creators was Belgium’s Hergé – better known for his character, Tintin. Actually, the French phonetic sounds of the initials of his birth name Remi George formed Hergé. It was this luminary designer who made comics international. 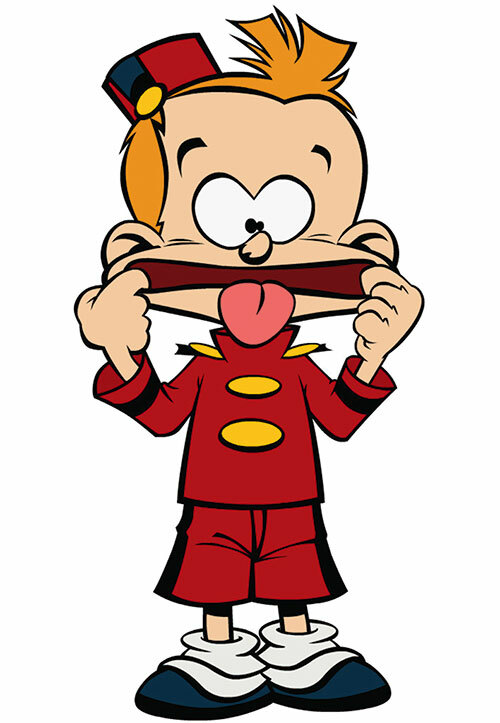 Even though he had not travelled till after the release of The Adventures Of Tintin’s third album, he sent his protagonist on quests around the world. Hergé used to read a lot and through his reading-knowledge, created these worlds not far from reality. Maybe that’s why we can spot inaccurate dimensions for most animals in his early works. Still, Tintin gained much momentum, more so after Steven Spielberg made a film on his exciting activities, admitting that this series is the inspiration behind Indiana Jones. This was how America was introduced to him. 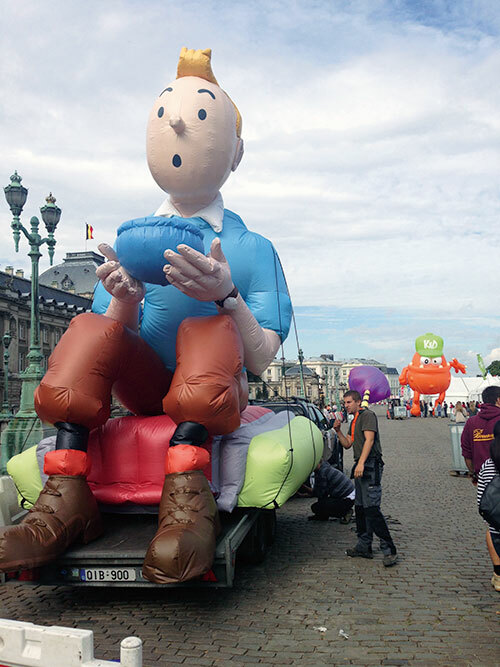 This is also why Belgium’s Comic Festival has stood proud of Tintin as the base. 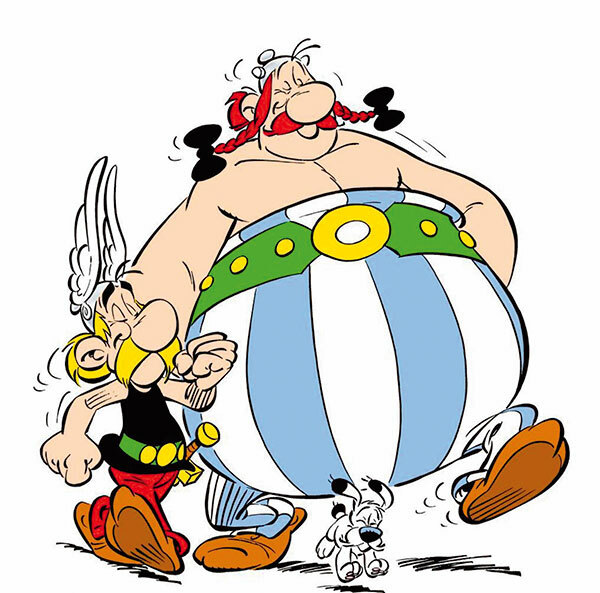 The first comic festival was held in 1971. After that several festivals were held at various venues. It was in 2009 when they all came together to fascinate and charm 45,000 visitors for the first time. 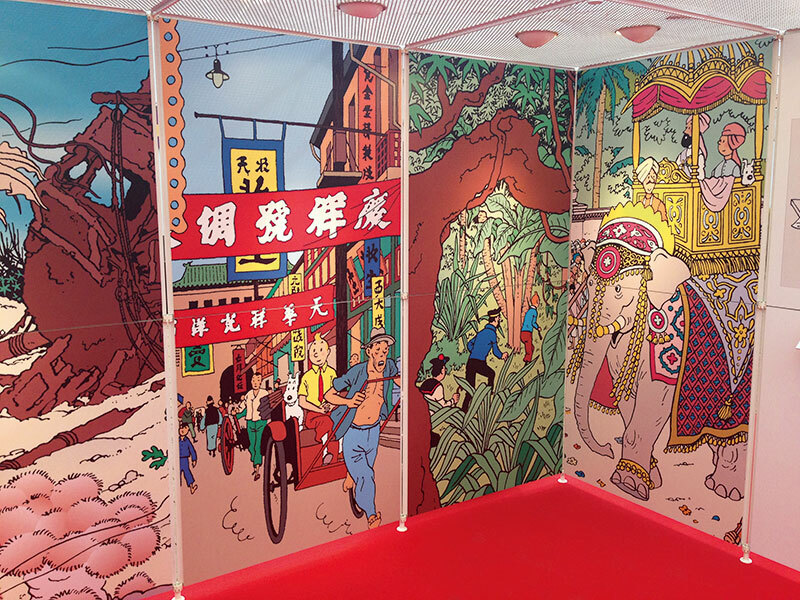 This year, in September 2013, the theme of the third comic festival revolved around Hergé himself for a change. Yes, there were a lot of Smurfs and Obelix and local cartoon characters like Spirou waving at you at the Place De Palais in Brussels. Second-hand comic stalls were a dive into nostalgia. Many neat sketches from the desks of Belgium’s burgeoning designers were created while you watched over their shoulders. Of course stuffed replicas of characters and figurines completed the little multi-faceted fete. 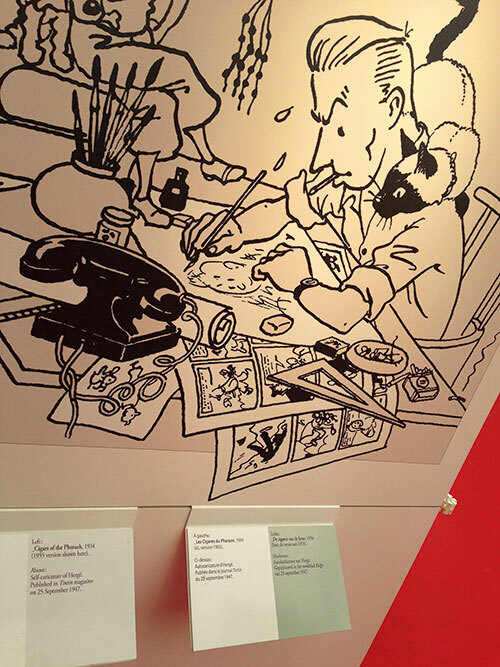 But the main focus was on Hergé’s life as an illustrator through preserved documents of his initial sketches. There were even two Tintin cars at the exhibition with backgrounds of the hero illustrated in them with his friend, the captain, the other extreme in personality. For some reason the locals found it entertaining to watch the inflation of balloons on the third day of the festival. There wasn’t much bustling around the square since pumping helium into the swelling cut-outs required continuing that one action in one place. Some helped by holding strings attached to the blow-ups and others simply watched while munching on famous Belgium potato fries. 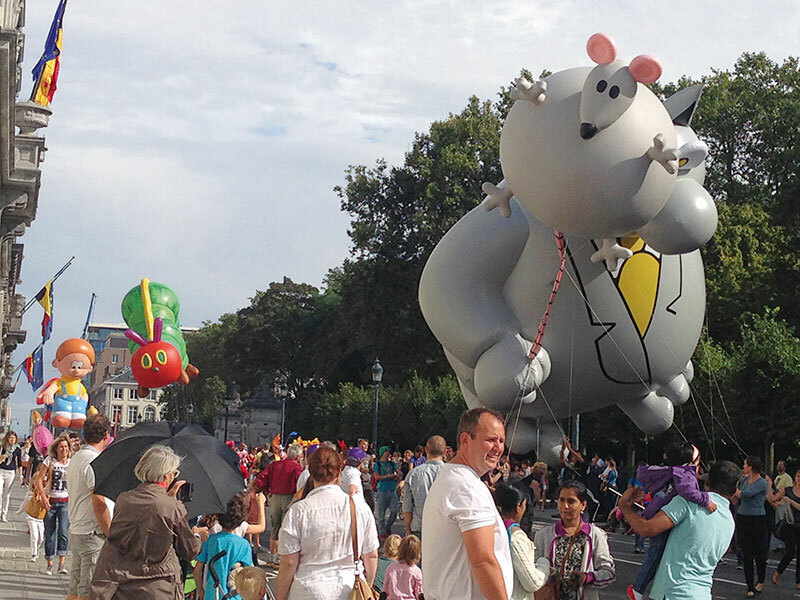 This was all in preparation for the balloon parade where the Atomium, Manneken Pis, Snowy, Spip, and of course Spirou and Tintin themselves, and others floated down the streets of Brussels. Being a small population, and having only recently started recognising its potential as a tourist destination, the crowd of parade-spectators was of a modest size. This just made the event a lot more fun with less pushing and more looking. Men dressed in uniform twirled flags in honour of their paper heroes. A lot of students waved their fists in enthusiasm at each passing cartoon character. It could be safe to assume they are part of one of the three major design schools in Belgium – Ecole de Bruxelles, Ecole de Marcinelle and Antwerp’s Royal Academy of Fine Arts. 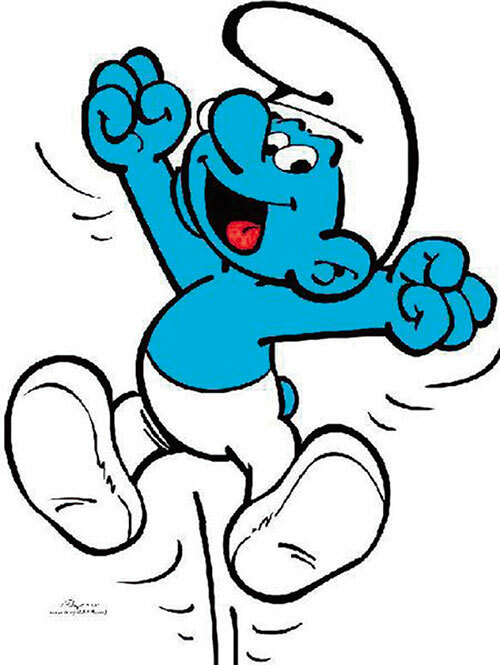 Many visit Belgium just to achieve a doctorate in comics! Comics are taken very seriously here – so intensely that auctions for their statues and balloons can cross the thousand euro mark with guilt-free ease. To commemorate them, each year Festival of Comics exhibits ‘Extraordinary Pages’ where one artist offers his perceptions on works of a significant Belgian comic creator. This time, Ever Meulen showcased his childhood inspiration, Wills of Tif et Tondu. Even as a foreigner, simply watching the drawings tugged at a smile, in spite of limited command over the French language. Not far from here is the Belgian Comic Strip Center. It is interesting how Victor Horta designed the building. Nature is represented by the mouldings on its balcony railings, the floor, though not very glaringly was designed to resemble rain puddles. 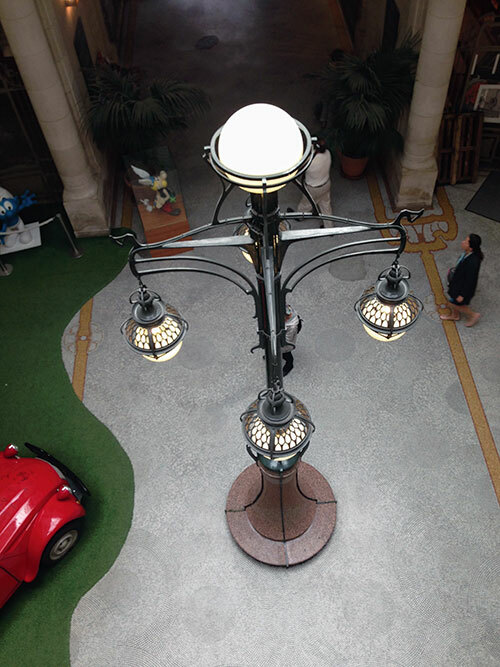 Then the granite below a prominently placed lamppost is earth, and the glass globes affixed on it are planets, with the top most posing as the sun. That is a whole ecological life there! 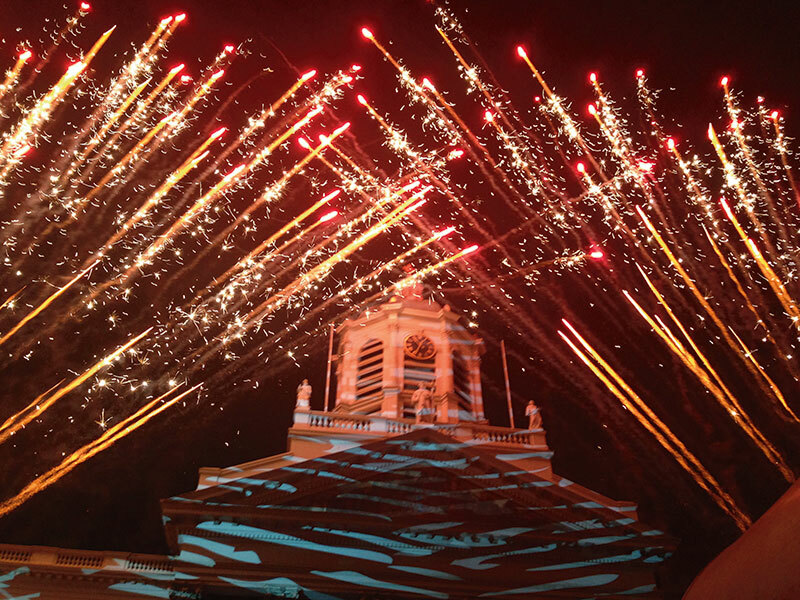 But the most mesmerising bit of the entire festival was the 3D video, light, laser and pyrotechnics show on the facades of the Place Royale – Battle Of The Comics. Characters ran across the facades, vanquished in life-like blasts, chased each other, were stepped on by stronger beings – all of this tracked through the progressing years from the early 20th century. It involves you to such an extent that you forget the building is actually a solid structure; up until the graphics disappear and the finale fires the dark sky with sparkling explosives. Comics were conjured up to amuse. But a third of a century ago, Belgium employed them with a little agenda that went beyond entertainment at the time. Since major political parties were linked to newspapers, they paid illustrators to publish with them. This way they had school children, mainly boys attracted to that print media, hopefully flipping through the remaining stories as well and simultaneously being influenced into growing up as supportive voters.